So, as things with Please Live are beginning to become more regular and we’re now operating as an official nonprofit, my hope is that blog posts will become more frequent as well. You may have noticed that we have switched our blog over to wordpress. This is great because wordpress is a fabulous website that makes updating this blog easy and tasteful. The only not-great part about moving over to wordpress is that we have lost some of the great posts written in the past. So, over the next couple of weeks, I hope to reiterate some of the great information once posted. Today, however, I’ll post about a different topic, one that needs to be addressed. 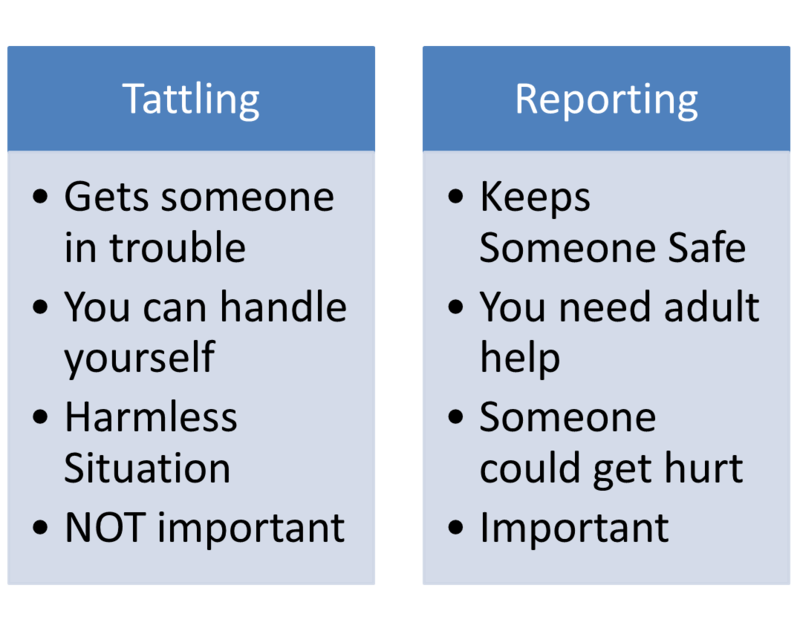 Today I want to talk about the difference between tattling and reporting. To Tattle is defined as “revealing the plans or activities of another via gossip” or to “chatter aimlessly.” The purpose of tattling can be boiled down to self-centered interests. You tattle because you want to make someone else look bad, or you want to make yourself look good, or you’re bored and want to talk behind someone’s back. Tattling is negative, and we learn from a very early age not to be a tattle-tail. Reporting, on the other hand, is defined as “to write or provide an account” of something. To report is much less emotionally charged as tattling. While tattling is subject to gossip and self-centered purposes, reporting sticks to the facts. You tattle on someone to get them in trouble. You report behavior because you are worried about someone. You tattle on someone to make yourself look better. You report behavior because you care about other people’s safety. Oftentimes people – especially youth – are hesitant to report scary behavior because they don’t want to be a tattle tail. What they fail to realize is that tattling and reporting are very different actions. Tattling is self-centered, while reporting is caring about someone else. Are you seeing signs of depression, anxiety, or suicidal ideation in a loved one? Have you stopped yourself from talking to someone about it because you’re afraid of tattling? Please know that reporting at-risk behavior could be the difference between life and death for a friend. The sooner you or your loved one receives help, the sooner you/they can return to actually enjoying life again.